Yesterday while flying home on Air Canada flight 88 from Shanghai to Toronto (13.5 hours but who's counting!) 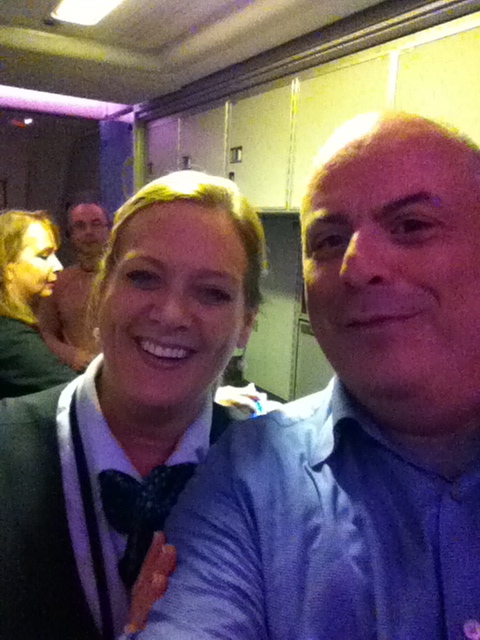 I meet the fabulous Donna a flight attendant who not only was tons of fun, but she made my trip so much fun, that the flying time just flew by! Thank you to the fabulous Ms. Donna, and the entire Air Canada flight crew. You know the difference between a good flight and a bad flight is ALWAYS about the cabin crew! I like this blog post, thanks for sharing your opinions! Of course, the difference between a good and a bad flight is all about the cabin crew! How much you paid for your flight? I am looking for Cheapest Air Tickets from shanghai to Toronto.